Your Source for Maryland and Pennsylvania Real Estate! Stephanie Myers offers unparalleled service to ALL clients in the Maryland and Pennsylvania Real Estate market. Your complete satisfaction with her service and representation is her number one priority. Stephanie serves the Central Maryland and Southern Pennsylvania Real Estate market including the surrounding communities such as Westminster, Hampstead, Manchester,Taneytown, New Windsor, Keymar, Union Bridge, Eldersburg, Finksburg, Mt. Airy, Frederick, Owings Mills, and in Pennsylvania....Littlestown, Gettysburg and Hanover area. Whether you are considering buying a home, selling a home, or both, she knows this area inside and out, having served clients in all their real estate needs since 1985. Featured Property for Sale: Some of the best properties for sale are displayed right here. As an expert in the Maryland and Pennsylvania real estate market, she can provide you detailed information on these homes, or any others! Market Trends Newsletter: Find out what's going on in today's real estate market. Stephanie's Newsletter provides a fresh perspective on our market activity. Be sure to check these out! The information is timely and informational to you the consumer. 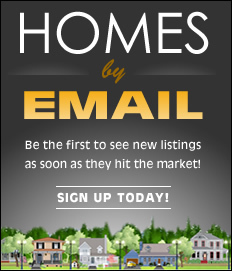 Email Listing Alerts: Be the first to know what's coming up for sale in the Maryland and Pennsylvania real estate market with Stephanie's New Property Listing Alerts! Just tell her what you're looking for and she'll email a daily update of all homes listed for sale since your last update. You can unsubscribe at any time. It's that easy! What's Your Home Worth: Everyone is curious as the the value of their home. Receive a complimentary analysis of your home's approximate present value on the market today.